Excerpt from Mad for the Plaid by NYT bestseller Karen Hawkins! 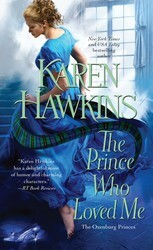 Don’t miss New York Times bestselling author Karen Hawkins’ latest installment in her delightfully sizzling Oxenburg Princes series, Mad for the Plaid! To avoid an international incident when his grandmother is kidnapped in the Scottish highlands, Prince Nikoli Romanovin decides to slip into enemy territory disguised as a groom. But his plans go awry when he falls under the cool gray gaze of the laird’s daughter and she instantly realizes he’s not who he pretends to be… Download your copy today! The prince might know how to handle this situation in Oxenburg, but he didn’t know the Scots the way Ailsa did. He had no understanding of the complexities of clan relationships, and could never bring this unfortunate episode to anything but a regrettable end. She and her party would leave in the morning as she’d planned, and the prince and his men could do what they would, although they’d have no idea where to begin their search. She would not forgo caution for bravado. It was time to put an end to this. She held her hand to one side to drop the cigar to the ground. Before her fingers could loosen enough to release it, the prince’s large gloved hand closed about her wrist and she was tugged forward, her astounded gaze now level with the second button on his coat. Less than an inch separated them; she could feel the heat from his body through her heavy wool coat. It would be best if I don’t look up, she decided, her heart thundering in her ears, her skin prickling with awareness. The prince plucked the cigar from her surprised fingers. “What are you doing?” she heard herself ask in a breathless voice. She knew he was talking about the cigar, but for a breathless moment she closed her eyes, a willful thought scampering unbidden through her imagination. I wish he were talking about me. Surprised at herself, her eyes flew open, and she found herself drowning in his green, green eyes. She tried to swallow, but couldn’t, so she lowered her gaze to his chin, forcing her distracted brain to focus on that and nothing else. But that firm chin was attached to a very sensual mouth, and the sight of it tugged her forward. Or would it? Perhaps in kissing him, she could regain some control over this situation, over him. If he thought she’d fallen under his spell, he’d think he’d won, and that would give her the time to figure out how to deal with this new development. Without giving herself too much time to think about it, she lifted up on her toes and kissed him. She wasn’t sure who was more shocked, for they both froze in place, her body pressed firmly to his, her chilled lips over his warm ones. And och, how delicious his lips were. Nae, nae, nae! That’s enough! One kiss, nae more! She warned herself frantically. She lifted her foot to step back, but the prince’s strong arms slid about her and locked her in place. And suddenly, she was no longer the one kissing, but was the one being kissed. His mouth, warm and insistent, covered hers, teasing and tempting. He didn’t just kiss, he kissed, bending her back, pressing her lips apart, his tongue brushing hers in a wantonly intimate gesture. She broke away and stepped back, her breath rapid, her heart galloping madly. Her gloved fingers brushed her burning lips. That was . . . Oh my. He watched her and she caught a flicker of surprise in his green eyes before he lowered his lids and regarded her through his lashes. “I dinnae mean for that to happen,” she blurted. “Neither did I,” Nik admitted. She’d surprised him. He’d expected the kiss to be pleasant, perhaps even sensual, but nothing had prepared him for the searing passion that kiss had ignited. There is more to this little mouse than I expected. Much, much more. Nikolai Romanovin, a royal prince of Oxenburg, has travelled to the deepest wilds of Scotland to rescue his grandmother the Grand Duchess, who was abducted while visiting an old friend in the Highlands. Wanting to avoid an international incident, Nik plans to quietly slip into enemy territory disguised as a groom at Castle Cromartie. But his plans go awry when he falls under the cool gray gaze of the laird's daughter. A princess once bejeweled but now tattered . . . A proud lord once lost and now found . . . Love may find them yet . . . 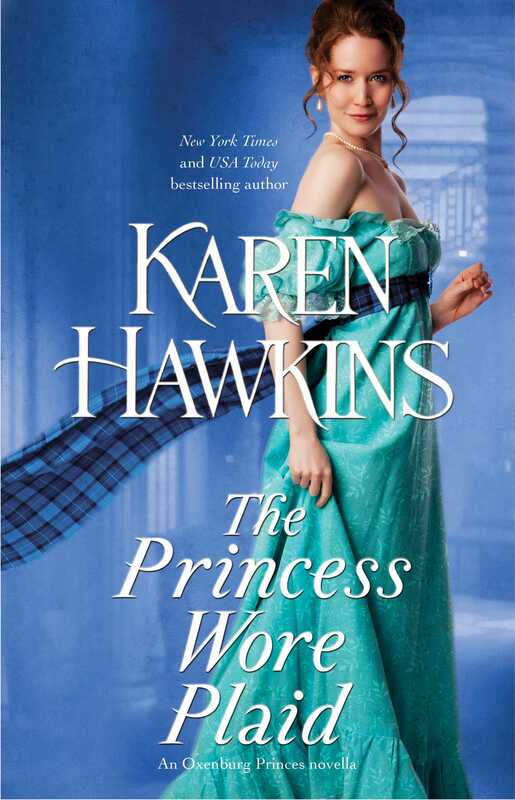 Romance sizzles in this Cinderella story set in Scotland, the first in a sparkling new spinoff series from New York Times bestselling author Karen Hawkins. 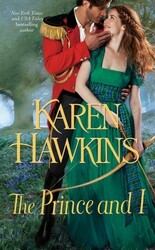 From New York Times bestselling author Karen Hawkins, the lively and sizzling second book in a new fairytale-based Scottish historical romance series, The Princes of Oxenburg. Adding this to my TBR. I really liked The Princess Wore Plaid so I can’t wait to read this.